My mission is for you to wake up excited about who you are and the life you're living! I love teaching my clients how to take care of themselves – body, mind, and soul, because I believe that when we feel good and are full of confidence, there's no stopping us from living out our purpose. 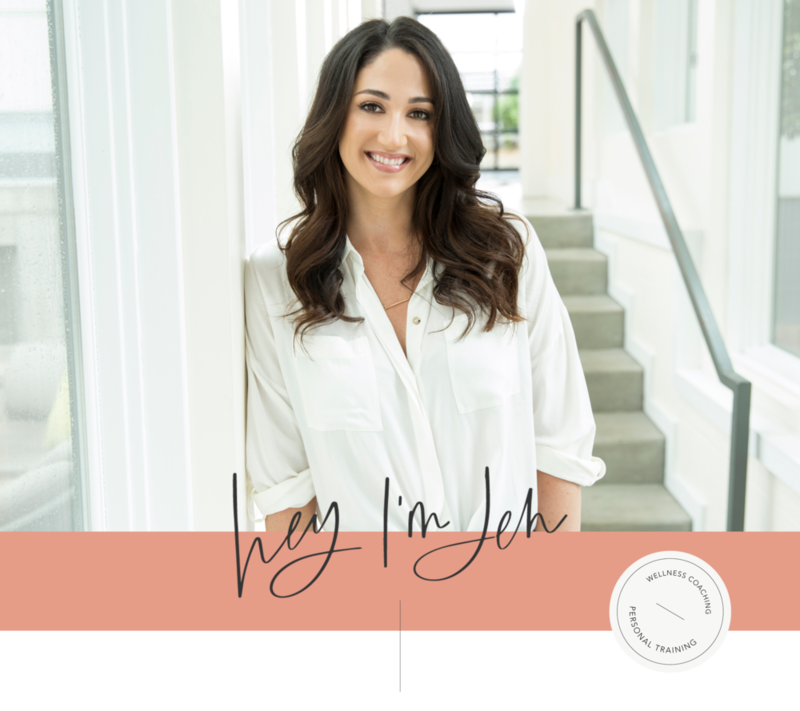 I've worked in the health and wellness industry for over a decade, and my passion for teaching women how to care for themselves and tap into their potential comes from experiencing the power of doing it firsthand. When I started my own health and fitness journey, it was all about what I didn't want. I didn't want to gain weight, be sick, get injured, and most of all fail. I was constantly living from a place of fear and "not enough-ness," and eventually that negativity took its toll. I found myself empty, unmotivated, and incredibly frustrated. I knew I had to find a different way if I wanted to live the life I was dreaming about. So I dove in and practiced different approaches that were rooted in positive psychology. I focused on my strengths and the things I did want, like how I wanted to feel on a daily basis, the things I could do each day that made me better and more joyful, and the purpose I wanted to align with my life. The change was mind blowing! I escaped a cycle of negative eating patterns, started enjoying exercise more which led to more consistency, and I noticed a drastic improvement in my self-confidence. I started stepping outside my comfort zone in my business more and more, and finally did things I had been saying,"One day...", about for so long. I learned firsthand that when we care for ourselves from a place of positivity and love, we not only achieve more of the things we want in our lives, but we're also much more fulfilled along the way. From teaching people how to overcome self-sabotaging thoughts and behaviors, and step outside their comfort zone, to providing them with accurate exercise and nutrition information and helping them implement stress-relieving strategies, I'm driven to help my clients feel unstoppable when it comes to their life goals. When I'm not working with my amazing clients, you can probably find me frequenting the coffee shops and hiking trails in Nashville, TN with my husband + business partner, Eric, and our golden retriever, Luna. If you want to see more of my day-to-day life, stop by and say hello on Instagram! I'd love to connect with you!